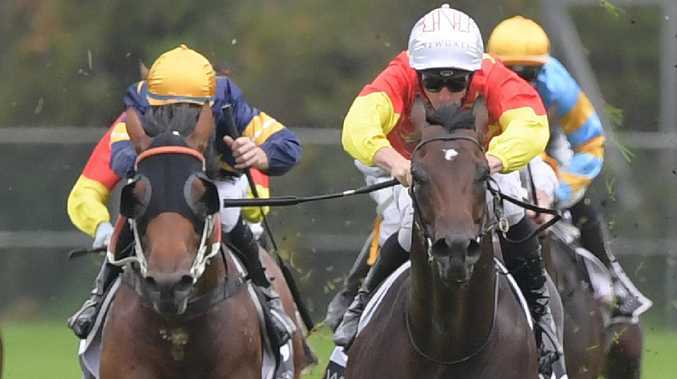 Racing editor Ray Thomas breaks down the Golden Slipper, including his verdict on the big race, while Sportman's Shanye O'Cass and Adam Sherry debate the pros and cons of each runner in the $3.5m sprint. Yes Yes Yes settled at the back of the field before unleashing a powerful surge to sweep past Bellevue Hill and Dubious to win by a half length. It was a dominant performance by Yes Yes Yes who ran the 1200m in a very fast 1m 8.4s. Bellevue Hill made a brave attempt to lead throughout. He is lightly-raced and only third emergency for the Golden Slipper but if he gets into the field, he is a real knockout hope. Dubious held his ground and will be fitter, Time To Reign never got into the race. Tenley produced a very similar effort to Yes Yes Yes but the filly ran faster time, finishing strongly to score by a widening 1½ lengths and record a very fast 1m 8.34s - the fastest time ever by a juvenile over the Randwick 1200m. Exhilarates continued to work to the line and can only be improved by the run. Vincere Volare raced on speed and held on well with Anaheed just behind the placegetters. Most of the early speed has drawn inside 10, including Microphone and Cosmic Force from barriers one and two respectively. They will push forward and try to hold the inside but may let the likes of Anaheed (seven), Time To Reign (nine) and Free Of Debt (10) cross them early. Kiamichi has drawn right off the track but she has brilliant early speed and I still expect her to be in front at the first turn. Kiamichi likes to roll along at a genuine tempo so this Golden Slipper should be run at a solid speed. The record of favourites in the Golden Slipper has improved in recent years with Sepoy ($2.80, 2011), Overrreach ($2.80, 2013), and Vancouver ($2.50, 2015) all scoring in recent years. However, the only other favourite to win the race in the last 30 years was Sebring ($6, 2008). Since Phelan Ready's upset win at $26 in 2009, every Slipper winner since has been at single figure odds. Gai Waterhouse, who trains in partnership with Adrian Bott these days, holds the race training record of six wins jointly with her late father Tommy Smith. Waterhouse, who has third emergency Bellevue Hill in Saturday's race, has won Golden Slippers with Vancouver (2015), Overreach (2013), Pierro (2012), Sebring (2008), Dance Hero (2004) and Ha Ha (2001). Peter and Paul Snowden, who are represented by Cosmic Force, Anaheed, Catch Me and second emergency Rome, have won Golden Slippers with Sepoy (2011) and Capitalist (2016). Gary Portelli (Time To Reign) prepared 2017 winner She Will Reign and David Hayes (Lankan Star) won with Miss Finland (2006). Tommy Berry (Pin Sec) is chasing his third Golden Slipper win after his successes on Overreach (2013) and Vancouver (2015). Other jockeys with rides in Saturday's race to have won the Golden Slipper are Kerrin McEvoy (Exhilarates) who scored with Sepoy (2011), James McDonald (Tenley) won on Mossfun (2014), Blake Shinn (Yes Yes Yes) rode Captialist (2016), Damien Oliver (Lankan Star) rode Forensics (2007), and Brad Rawiller (first emergency Bivouac) won on Phelan Ready (2009). Hall of Fame jockeys Shane Dye and Ron Quinton hold the Golden Slipper riding records with four wins. Cosmic Force has improved exponentially with every race start before his stunning win in the Pago Pago Stakes last week by more than seven lengths. Despite his huge winning margin, Cosmic Force looked to do it easily and his rider was able to ease up over the final 100m. He obviously excels on rain-affected tracks and will get conditions to suit again tomorrow. From barrier two, I expect Cosmic Force to settle in the front six with the run of the race. In a very open Golden Slipper, I have a slight leaning to Cosmic Force. Godolphin has a powerful entry in the big race with Microphone and Tenley both very hard to beat. Microphone showed promise in his three Melbourne starts but the stable chose not to go to the Blue Diamond and concentrate on the Golden Slipper. Microphone looked the part storming past Cosmic Force to win the Skyline Stakes last start. From the rails barrier, Microphone is going to get a gun run and be within striking distance all the way. The only box he hasn't ticked is the rain-affected track but on breeding he should handle the going. Tenley is a very impressive filly. 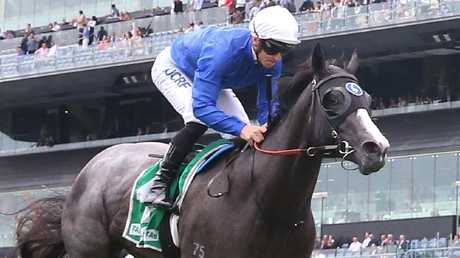 She is unbeaten in three starts and was dominant in the Reisling Stakes, scoring easily from stablemate Exhilarates and in the fast time ever run by a two-year-old over the Randwick 1200m. Talented filly with a booming finish. Yes Yes Yes won the Todman Stakes the same day as Tenley's Reisling and in a time only fractionally slower than the filly. The concern for Yes Yes Yes is his wide barrier. It is likely he will get back early and have the bulk of the field in front of him coming to the turn. If he gets any luck in running, he can win this race. Time To Reign is the forgotten runner. He was very good beating Tassort in the Silver Slipper then failed in the Todman Stakes behind Yes Yes Yes. The firm track may have been against him last but he will enjoy the soft-heavy conditions on Saturday. Lyre, Pin Sec, Exhilarates, Loving Gaby and Catch Me will be competitive and Dubious is an underrated colt but needs luck from his awkward barrier. Shayne says: I bet they were saying No No No after the barrier draw but, to be honest, who can say what happens on the day with the track pattern. If he runs like he did in the Todman, his barrier is of no consequence. Adam says: I concur with you, Shayne. Vancouver came from the outside gate to win in 2015 and Estijaab was out wide last year so it can be done. He will only be better for the experience of his first Sydney run and is a top chance. Blake Shinn knows what it takes to win the Slipper. Shayne says: The logic would be that if you like Cosmic Force then you have to like Microphone who beat him in the Skyline, although there are some who say "reverse the run, reverse the result'. Comparing the two, you could say Cosmic Force has the edge this time because of the wet track win last weekend. Adam says: Microphone was good in the Skyline but I'm just not sold on the form around him in Melbourne. He's drawn to get a lovely run and Hugh Bowman will give him every chance but I like a few others ahead of this bloke. Shayne says: He's only a two-year-old but he's already one of racing's big enigmas. He's been a bit like Forest Gump's box of chocolates but if the Sliver Slipper version of him turns up, then he might emulate his half-sister She Will Reign. Adam says: He has been costly at two recent starts but trainer Gary Portelli believes he's best suited in a high pressure race and he will get that here. A wet track will suit but prepared to look at others. Shayne says: I haven't got him in my top four but, to be honest, he's the one I'm barracking for just because I'd love to see a trainer like Chris Bieg taking on the goliaths and come out on top. It's not impossible, this horse is much underrated, but in saying that, will need everything to go his way. Adam says: As you know Shayne, I've been a fan of this horse for a little while now and I actually had a few dollars on him each-way in the Blue Diamond. Was very good winning a Randwick trial on a soft track last week and is worth including in the exotics at a big price. Shayne says: Could it just be a case of Cosmic Force repeating exactly what he did last week? When you think about it, it was the most dominant win by a two-year-old this season and it was at this track, distance and on the heavy. Talk about ticking boxes! Adam says: Boy, was he impressive last week. I know only three winners of the Pago Pago have won the Slipper, the last being Stratum 14 years ago, but this colt looks to be something special and is a deserved favourite. Shayne says: If there is thing history has taught us, it is to respect the Breeders' Plate winner. On top of that, he is the Magic Millions runner-up and will definitely be improved off his gallant third in the Todman. Blinkers first time, but I think barrier 16 has done him no favours. Adam says: For a horse who is a natural on-pace runner, the wide gate means he will need burn plenty of petrol early. He is a tough customer him but not for me tomorrow. Shayne says: I put Lyre into my top three not because she won the Blue Diamond but because of her trial win at Randwick last week. She just roared away from them at the 150m and, take note, it was a very wet track. She just keeps stepping up to every challenge. Adam says: I was impressed with her trial win last week and she will be even better for her first experience on the right leg. She was impressive in the Blue Diamond and is a genuine chance. Shayne says: Was the Blue Diamond runner-up to Lyre but it's difficult to imagine how she can turn around her form from the Magic Night last week into a Golden Slipper win. Adam says: She was caught wide throughout and the heavy track wasn't to her liking. I'm not saying she will win but she is a better horse than that performance. Shayne says: One of the things I like about this filly is that she is untapped and we don't know what her ceiling is. She also has a very good pattern to win a Golden Slipper. I know you reckon she's the one to beat and I can't find any holes in her form. Adam says: Yes, Shayne, Tenley is the one I have on top. She fits the mould of a Slipper winner - raced before Christmas, she's unbeaten and her win in the Reisling two weeks ago was first class. She'll be carrying my cash. Shayne says: I respect what you just said about Tenley but Pin Sec is my number one seed of the Godolphin horses. She's a bit like Tenley in that she's unbeaten and also has a very good finish which we saw in the Black Opal. I don't think she's peaked yet and she's drawn to get a great run for Tommy Berry. Adam says: I must admit I thought she was a good thing in the Black Opal and she certainly won like one. She is definitely capable of joining Catbird in taking out the double and I've got her in my top three. Shayne says: If you want to get a guide on her chances, you have to go all the way back to Everest day which was the day she won the Victory Vein by four lengths on a Heavy 9. She won the Sweet Embrace two starts back but I wasn't sold on her Reisling run. Adam says: Her debut win was very good but, like you, I thought her latest effort was only fair and I don't know how she can turn the tables on Tenley, Exhilarates and Vincere Volare let alone the colts. Shayne says: I don't know how many times I've heard James Cummings or Darren Beadman use the word underrated when it comes to Kiamichi. The punters seemingly are keen to under estimate her given that she's $41, which seems a good price to me for a filly who won on the Magic Night on a Heavy 10 last week. Adam says: That's the Canny Lad coming through there, Shayne. I took some of the $26 about her in last week's race purely on the fact she is bred to swim. Her sire Sidestep was terrific in the wet also. The barrier makes her task a lot harder. Shayne says: If you can somehow overlook her Blue Diamond and Prelude runs and go on her Preview and Gimcrack wins, then Catch Me is a real top three chance. The other thing with her is that she trialled absolutely brilliantly at Randwick last week and with the blinkers off. I think maybe they might try to ride her conservatively like in the Gimcrack. Adam says: She is certainly a smoky, Shayne. I definitely think $41 is over the odds for a Gimcrack winner from the Snowden yard. 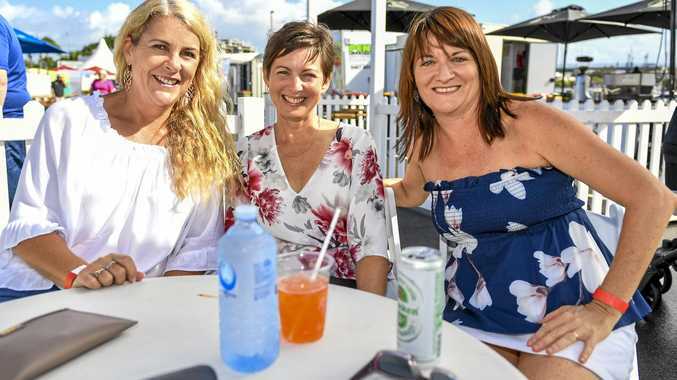 Shayne says: I know you go further back with this Queenslander than I do but I must say I thought she gave a good account of herself in the Reisling but it's a simple case again of needing to turn the tables on two horses that I don't think she can. Adam says: Yes Shayne, I've liked this filly since seeing her win her first trial then come out and dominate her rivals on debut. I know she will improve off her Reisling run but whether it's enough to win here remains to be seen. If I remember rightly, you tipped her dam Elimbari to win the Slipper a few years back and she finished last. Good luck to whoever you tip this year. Shayne says: Thanks for bringing that up Adam. I still can't believe that this filly only cost $600,000 at the Magic Millions. She's got a million dollar pedigree and is priceless if she wins the Slipper. She will improve off her Reisling second but I say again, how does she beat Tenley? Adam says: She was our top pick and front page special for the Magic Millions and didn't let us down. She will no doubt be better for run after an eight week break. Drawn awkwardly and will need a bit of McEvoy magic. Shayne says: This is my tip Adam. She was great in the Chairman's on debut coming from an awkward spot. So much so was backed from $6 into $4.80 equal favourite in the Blue Diamond but was badly inconvenienced in the straight and probably should have won. Her trial at Randwick last week was one of the best trials I've seen from a two-year-old all year. I think she'll look the winner at some stage. Adam says: This is the 23rd two-year-old you have tipped to me for the Slipper off the trials. All jokes aside, it was a smashing trial. She is a quality filly, that's for sure, and is certainly a genuine hope.